First, let’s cover what flows are and what they do, and it’ll be clear how these can drive more value for your brand. ShopMessage Flows are messages that are automatically sent to a customer based on a specific action they take while shopping on your website. Flows are effective because they are timely, contextually relevant messages based on a customer’s specific shopping experience. ShopMessage Flows are timely because they respond when customer actions are detected. They are contextually relevant because they pull on data from your customer’s behavior on your site to serve relevant content. We hate to brag, but we can objectively say that ShopMessage flows are the most flexible and powerful in the industry for e-commerce companies. (Okay, in this case, we love to brag 🙂 What makes them so effective? Glad you asked! 1. 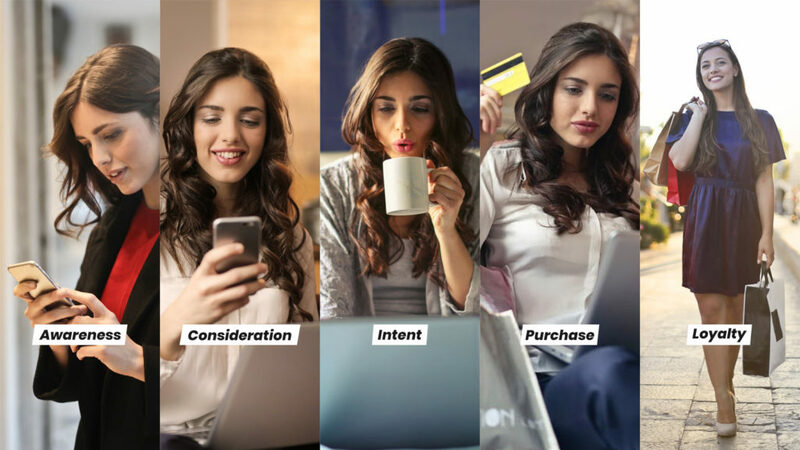 ShopMessage flows are designed for all aspects of the customer lifecycle, from welcoming a first-time visitor to engaging a long-time loyal customer. That means you can segment and automatically reach the right customer at the right time. There are many touch points along the customer journey for brands to engage via Messenger. 2. ShopMessage flows support custom events so you can trigger messages based on any activity that your customers engage in. With ShopMessage there are no limits for when and how you automatically trigger a message to a shopper. 3. ShopMessage supports custom data so you can send the right message with the right context. For example, you can send a different coupon based on high or low cart values. Or, if a user adds a subscription box to their cart, you may want to send a special flow containing popular items from previous boxes. While a flow can be set up to trigger on any event, we recommend that brands start by setting up these five flows. They’ve proven to drive revenue, engagement, and long term customer loyalty. Abandoned Cart Flows help win back the 83% of cart abandoners that visit your site. An abandoned cart flow is triggered when — you guessed it! — a customer abandons their cart. The flow is similar to its email-based cousin but is even more effective (most of us ignore our email inbox, while we live in Messenger). ShopMessage abandoned cart flows see over 80% open rates, 35% click rates, and on average drive $9 per recipient messaged. Order confirmation flows are a polite way to stay in touch and keep your customers updated. The simple gesture of saying “thank you” goes a long way to establishing long term loyalty with your customers. Thank you flows are message sequences that are triggered and sent after a purchase is completed. A thank you message can automatically include the purchase details, which doubles as a convenient order confirmation. Many brands choose to offer a time-bound discount on a follow-up purchase, which is an effective way to increase average customer value. Browse Abandonment Flows remind customers what they were browsing earlier. Ah, the art and science of converting browsers to buyers. Sending a Messenger flow to a customer about items they recently viewed can be an extremely effective tactic to close the sale. Browse abandonment flows are set up to trigger when a customer browses a particular product or section but leaves without completing a purchase. The flow is compelling to customers (after all, they were just shopping for that sweet new jacket). Brands can optionally choose to include discounts or other incentives to increase sale conversions. Customer Win Back Flows are a great way to tell them about all the cool stuff they’ve been missing out on lately. If you are wanting to win people over again, this flow is for you. Customer win backs are directed to customers who have previously purchased from you but have lapsed since their last purchase. The purpose of this flow is to build up brand loyalty and help people remember why they love your brand. Product Discovery Flows help customers whittle down a wide catalog into the most relevant products for them based on their choices in the conversation. One of the best parts about shopping in a physical brick and mortar store is there are employees on staff to help you find exactly what you’re looking for. They’ll ask you questions and suggest products based on your responses and taste. That’s where ShopMessage product discovery flows come in. 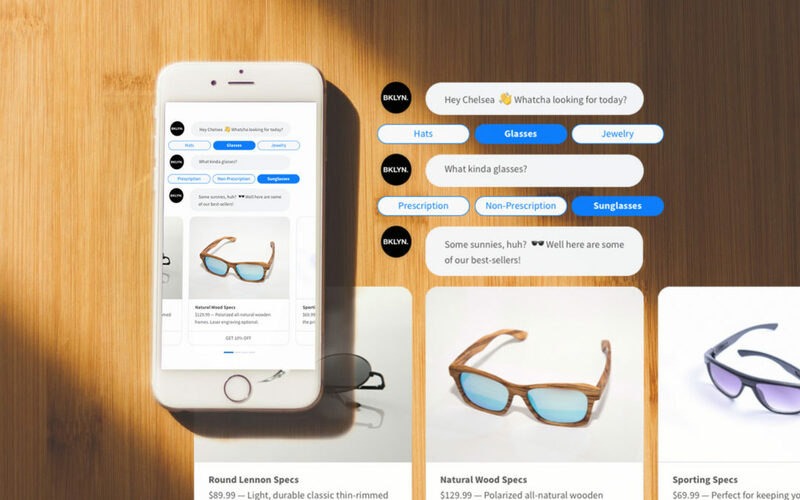 The product discovery is a chatbot that helps the customer browse your catalog and discover the most relevant products. Welcome Flows get your relationship with your customers off on the right foot from the first time they visit your store. So someone just signed up to join your Messenger list. Welcome them to the crew by automatically triggering a conversation. You can choose to send a discount code or simply ask them some questions to better get to know your customers — data you can later use to send personalized campaigns.